The clock is still ticking on Edmonton's river valley ball yard, but it's been harder to hear lately, drowned out by joyful noise. 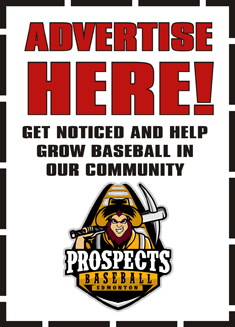 The Edmonton Prospects, who took over as leaseholders 10 months ago and are desperate to prove the ball yard's relevance, scratched and clawed their way to the Western Major Baseball League championship series last summer and that glorious run certainly livened up the joint. The college kids played their last home game Aug. 13, but the park didn't go dark. Prospects owner Patrick Cassidy, who couldn't be more dedicated to keeping the bulldozers at bay, said there were 60 other bookings on his facility's calendar – corporate and charity slo-pitch games and barbecues and the like. The Folk Fest folks were in there, so too some television production companies. He also signed eight-month lease deals with Vimy Ridge Baseball Academy and the fledgling University of Alberta Baseball Club, ensuring there's activity year round. The 30 Vimy Ridge kids were in there five days a week in the fall, now three days a week during winter, but will go back to a Monday to Friday schedule. When the 30 University of Alberta kids aren't on the road – they're playing in Phoenix now and heading for Las Vegas – they're at the park from Monday through Saturday. Local baseball lifer Mark Randall runs both enterprises, and is determined to build a development system that moves players from Vimy to the U of A, to the Prospects and eventually minor pro. But there's a much bigger picture in his head. "The whole purpose of this venture from my end, really, is to save the facility," Randall said Thursday. "I know that having kids down there running around the stadium on a daily basis is going to help the cause." Cassidy signed a four-year-plus-option deal with the City last spring and it represents the last and best hope for baseball. If the Prospects fail in their multi-pronged mission to provide an entertaining product, tend the game's grassroots and open the facility to the wider community, the land could be repurposed for condominiums. "We're trying to keep the bulldozers parked up on the hill there," said Cassidy. "Part of our mandate was, prove to us that this building is relevant and has a future. "I think we're going to be successful. We had a good year last year. We put over 40,000 people in the ball park." Cassidy wants to build on last year's momentum by staging half a dozen special events that could attract perhaps 5,000 people nightly, as they do on Canada Day, when the park offers a great view of the fireworks. With more than 9,000 seats available, there is no urgency to buy season tickets. About 95 per cent of their crowd is walkup and they need to constantly beat the drum. "You keep feeling it, more and more companies jumping on board," said Cassidy. "Actions speak louder than words, they've got to put their money where their mouths are, and they're doing it." "I think it might have been built in 1923," he laughed. "Instead of that Lite-Brite board with burnt-out lights, and only one or two colours, it will be more like a television. It's going to be a lot clearer, more functional. It's something that needed to be done. "We're also looking at maybe putting new stadium lights in, not so much because we need new lighting and the players are struggling to see the ball – although they will use that excuse when they drop one – moreso because the existing lights are old technology and there is an issue with the amount of transmission and distribution we have to pay every month." He's already signed a new food provider – Prairie Catering will unveil a signature Edmonton-sourced hotdog this year – and has a deal pending for a naming rights sponsor. It's an international sales and marketing company boasting 3,000 agents in the Edmonton area, he said. If the name is approved by City Council, the ball yard will finally have a new identity, and it will be a mouthful. The name of the corporate sponsor, which he wouldn't divulge, will be followed by Field and Entertainment Centre. Given all that's going on down there these days, it sounds about right.